A Supreme Court bench comprising of Chief Justice H.L. Dattu, Justice Madan B. Lokur and Justice A.K. 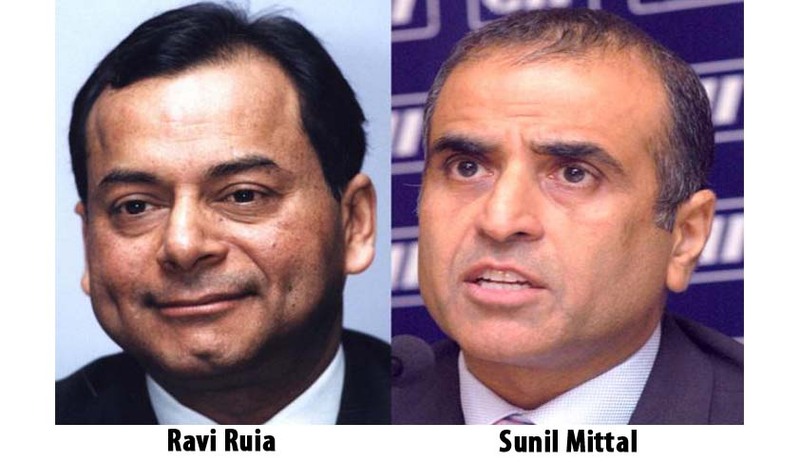 Sikri yesterday quashed an order to summon Bharti Cellular Ltd. CMD Sunil Mittal and Essar Group promoter Ravi Ruia, the case concerning allocation of additional 2G spectrum in 2002. The Bench reasoned that the legal principle had been applied wrongfully by the Trial Court, citing their vicarious liability for acts of the companies. According to the Special Judge, these persons, prima facie, could be treated as controlling the affairs of the respective companies and represent the directing mind and will of each company. They were, thus, “alter ego” of their respective companies and the acts of the companies could be attributed and imputed to them. On this premise, the Special Judge felt that there was enough material on record to proceed against these three persons as well. Thus, while taking cognizance of the case, he decided to issue summons. In the present case, however, this principle was applied in an exactly reverse scenario. Here, company is the accused person and the Special Magistrate had observed in the impugned order that since the appellants represent the directing mind and will of each company, their state of mind is the state of mind of the company and, therefore, on this premise, acts of the company is attributed and imputed to the appellants. The Court also considered that if a Company commits an offence involving mens rea, it would normally be the intent and action of that individual who would act on behalf of the company. However, at the same time, the Bench asserted that it is the cardinal principle of criminal jurisprudence that there is no vicarious liability unless the statute specifically provides so. The Counsel for the appellants tried to trivialize the matter by stating that what was decided was only a policy decision of the Government to allocate additional spectrum by charging 1% additional AGR i.e. from 4% to 5%; benefit thereof was extended to all Cellular Operating Companies including Pubic Sector Companies like MTNL and BSNL etc. and, therefore, there cannot be a criminal intent behind it. Appearing for the appellants, Mr. Salve as well as Mr. Nariman relied on various portions of the counter affidavit filed by the CBI to show that the appellant was left out and not made accused after due deliberations and argued that it was not a case of erroneous omission by CBI. Mr. K.K. Venugopal, appearing for the respondents, tried to project that it was a conspiracy of major level with sole intention to benefit the accused companies at the cost of the public exchequer and for this purpose, criminal conspiracy was hatched up between them. The Court however made it clear that this submission was beyond the scope of the appeals before the Court as this was not the basis of the order while implicating the appellants. Setting aside the issue of summons, the Court made it clear that it will always be open to the Special Magistrate to undertake the exercise of going through the material on record and on that basis, if he is satisfied that there is enough incriminating material on record to proceed against the appellants as well, he may pass appropriate orders in this behalf. They also made it clear that even if at this stage, no such prima facie material is found, but during the trial, sufficient incriminating material against these appellants surfaces in the form of evidence, the Special Judge shall be at liberty to exercise his powers under Section 319 of the Code to rope in the appellants by passing appropriate orders in accordance with law at that stage. You may access the LiveLaw coverage of 2G Spectrum case here.